We’re proud to say we know our customers by name! Forsyth Auto Care was started in 2010 with 2 bays and a commitment to providing customers with quality auto repair solutions in Winston-Salem, North Carolina. Today, our shop has expanded to 9 bays, where we provide complete auto repair solutions for our customers. What sets us apart isn’t just that we can take care or your vehicles from top to bottom. It’s the fact that we know our customers by name and make them feel like part of the family. We believe that it’s this special attention to caring that keeps them coming back and referring their friends and family members to us. 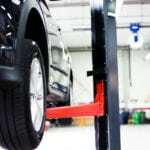 As a full-service auto repair shop, we can manage every detail of your car care needs. Not only do we offer vehicle tune-ups ad safety inspections, but we also have a full-time detail shop on-site. We also provide expert solutions when you need a major service, like transmission work or complete engine repair. Whatever you need for your vehicles, we’ll make sure you receive quality customer service and you’ll feel reassured that we stand behind our work. If you have questions about routine maintenance or auto repair options, or if you simply like to schedule an appointment, contact us at Forsyth Auto Care today. We look forward to working with you!